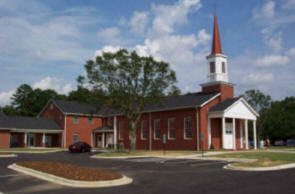 Jerusalem Baptist Church | Seeking to Win, Disciple & Serve. Seeking to Win, Disciple & Serve. *Adult Bible Study is currently going verse-by-verse through the books of the Bible. Tell of His Wonderful Salvation! Read more about Tell of His Wonderful Salvation! All services/activities have been canceled at JBC for Wednesday, Dec. 12th. We will be setting up for the SYBA Toy Store on Wednesday, December 5th. There will be NO services/activities on this night so everyone can help with the set up. Meet at the JBC fellowship hall at 6:00 PM to get things ready for this outreach! Pray for the Toy Store! Read more about Pray for the Toy Store!